The latest pictures of the artists we love on tour around the world! 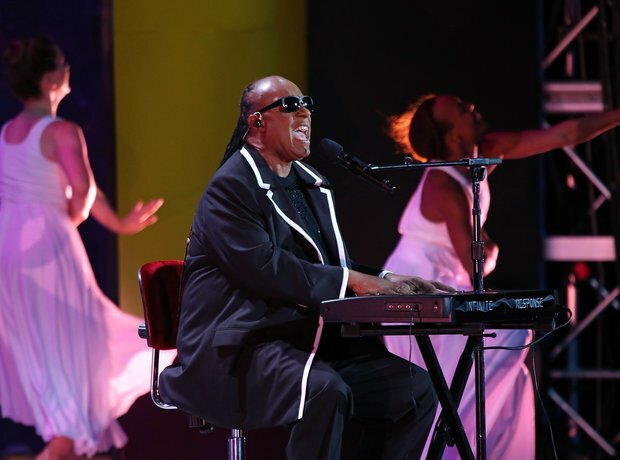 Stevie Wonder performs on stage at the opening ceremony of the Special Olympics World Games Los Angeles 2015. 2. Let Me Entertain You! Robbie Williams at Hard Rock Rising Barcelona. 3. Leann Fights The Moonlight! Good to see one of our favourite singers out on the road! Verdine White of Earth, Wind & Fire performs on stage with James Pankow of Chicago on the 'Heart and Soul' tour. 6. We Will Always Love You! Dolly giving it her all in Nashville.